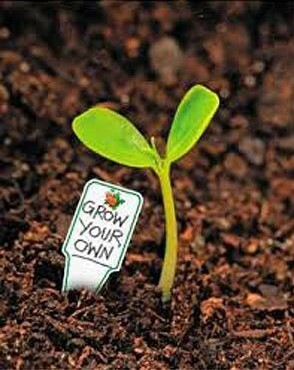 “Grow your own” talent: to promote or recruit? Grow your own has seen a huge revival in the past few years, with gardeners and celebrities alike singing the praises of the benefits of home grown veg. Personally, I’m a huge fan, the sense of satisfaction gained from sowing a seed, nurturing it through its early days and watching it grow is wonderfully rewarding. And, the end result, home grown veg pulled straight from the ground in your own garden is hard to beat. However, a great deal of time needs to be invested in growing your own, and you need to possess a certain level of knowledge and skill to be successful in your endeavours. In the world of work, does the same apply? Do the benefits to growing your own outweigh the costs? Should talent always be home grown, or is there a time and a place for buying in from outside of the four walls of the organisation? Advocates of growing your own talent list many benefits that can be drawn from supporting existing employees as they rise through the ranks of an organisation. Such an approach to talent results in existing employees having a high level of detailed understanding of the mechanics of the business, they are fully submerged in the industry and are “good news stories” for employees starting out their careers with the organisation. Offering a long and rewarding career path by investing in your employees’ career progression and ensuring strong succession plans are in place gives people clarity about the opportunities that are available to them and reason to stick with you. However, a great deal of time and financial investment is often required when upskilling existing employees to enable them to progress through an organisation (particularly where highly skilled roles are concerned). And, if you choose to only promote from within, do you not run the risk of stagnation? Will you find your business unable to generate new ideas or find new ways of working? Might you find yourself falling behind your competitors? By opening up the talent pool and looking externally for experienced hires when necessary, you can balance the blend of those who know the current business inside and out with those who have the potential to bring a fresh pair of eyes, new ideas and new ways of working to the organisation. There’s a balance to be struck that ensures businesses have access to the right set of skills when needed, whilst continuing to nurture the ambitions of existing employees as they progress through their careers. Ultimately, it’s how you manage and communicate this blended approach to talent management that’s important to retaining current employees whilst attracting new ones. Personally, I’m one of the first to sing the praises of home grown, but equally, I’m not at all averse to popping out to the shops to supplement my harvest with some bought in additions when needed!